In the aftermath of the Napoleonic Wars, the U.S. found its merchants and traders locked out of their traditional markets in Europe and the Caribbean. 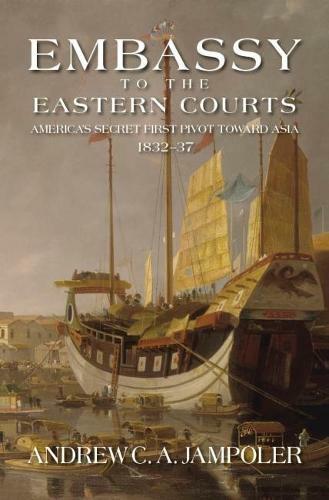 Hoping for new and profitable American trade relationships, President Andrew Jackson dispatched an unemployed ship-owner and merchant with no diplomatic experience on a secret mission to negotiate with Eastern potentates in their courts. Edmund Roberts' mission was to formalize American trade with these exotic places - Oman, Siam, Cochin China, and Japan - on a most favored nation basis, allowing for American consuls to openly advance and protect American interests and citizens in their host country. After sailing almost 70,000 miles in five years in the ill-fated USS Peacock, Roberts was successful in negotiating treaties with Oman and Siam, but he failed in Cochin China, and he died before setting sail to Japan. Peacock, first flagship of the Navy's new East Indies Squadron, forerunner of the U.S. Seventh Fleet, outlived him by only a few years.